Former New Minas Village Commissioner and Founding Father passes away Kenneth Robert "Ken" Barron – age 88, of New Minas, passed away on Thursday, January 11, 2018 in the Wolfville Nursing Home. Born in Scotch Village, Hants County, on January 12, 1929, he was the son of the late John and Marion (Cochrane) Barron. 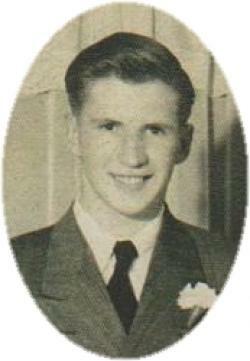 Ken had attended school at Scotch Village, Windsor Academy and Kings County Academy. He married his high school sweetheart, Dorothy Joan Milne in Kentville on May 22, 1948. Ken will be remembered as a kind and generous man and a proud and dedicated father, grandfather and great grandfather. 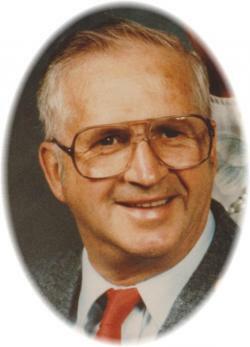 Many will remember Ken as an agent for Prudential Insurance, a manager of New Minas Concrete and his years spent travelling the Annapolis Valley selling auto parts for Milne’s Garage. During his 38 years with Milne’s Garage, he worked as stockroom clerk, warranty clerk and manager of the Milne’s Firestone Tire Warehouse. Ken’s community was his hobby. Local MP Pat Nowlan remarked in 1986 that the village motto for New Minas, "A Good Place to Live", "was true largely because of the work of Ken Barron". Ken was one of the three Founding Fathers of the village of New Minas and volunteered as its Village Commissioner for 18 years. He was on the Apple Blossom Festival Committee for ten years, a Boy Scout leader for 15 years, President of the Community Club for four years, an Elder in the United Church of St. Paul and St. Stephen for 40 years, a member of the New Minas Volunteer Fire Department for five years, a member of the Valley Regional Hospital Foundation for eight years, Director of the Valley Regional Hospital Board for six years and Chairman of Finance for the Valley Regional Hospital Board for two years. Ken loved to camp with his family and was a member of the National Campers and Hikers Association and High Tide Drifters for 40 years. He is survived by his wife of 69 years, Dorothy (Milne) Barron, Wolfville Nursing Home; a sister, Frances Bickerton (Bob), Falmouth; daughters, Sheila Hancock (Mike), White Rock; Nancy Tracey (Gregg), New Cumberland and son, Robert "Bob" Barron (Barb), North Alton; mother-in-law, Pauline Milne; grandchildren, Andrea Hancock, Erin Hancock (Jackson Mann), Tim Tracey, Bethany Kossatz (Matthew), Robert Barron, Nadea Melenchuk (Michael), Leah Conrad (Jordan Profitt), Lacey Conrad (James Webb) and Kenny Conrad; three great grandchildren, Scout, Levi and Michael; many nieces and nephews. He is also survived by brothers-in-law, Stanley "Sam" Milne, Donald "Donnie" Milne; sisters-in-law, Jean Milne, Ina Palmer and Carol Anne Anthony. He was predeceased by his daughter, Leslie Ann Conrad; father-in-law, Laurie Milne; mother-in-law, Ruth Milne; brothers-in-law, Calvin "Cal" Milne, Lawrence "Lonnie" Milne, Gerald "Gerry" Milne, Ronald Milne, Lorne Fraser, Doug Anthony and Norm Palmer; sisters-in-law, Dorothy "Dot" Milne, Ann Milne, Phyllis Milne, Pauline Milne, Shirley Fraser and Ruby Milne; nieces, Tanya Milne and Mary (Grimm) Butler; nephews, Brian Milne, his wife Helen and Wayne Milne; grand nephews, Mark Adams and Mark Porter. Many thanks to the staff of the Wolfville Nursing Home for their respect and kindness during his stay there. Visitation will be held from 6-8 p.m. Tuesday, January 16, 2018 in the White Family Funeral Home, Kentville, where the funeral service, followed by a reception, will be held at 2:00 p.m. Wednesday, January 17, 2018, Reverend Gary Manthorne officiating. Burial will take place at a later date in the Elm Grove Cemetery, Steam Mill. Family flowers only, by request. Donations in memory may be made to Chrysalis House, Parkinson Research or a charity of your choice. Funeral arrangements have been entrusted to the White Family Funeral Home and Cremation Services, Kentville. On-line inquiries and condolences may be directed to www.whitefamilyfuneralhome.com. Ken’s inspiring life can be summed up in three words:INTEGRITY, DEDICATION AND COMPASSION.